The latissimus dorsi (lat) is a very powerful muscle. It plays a very big, very important role in throwing a baseball, it also can be a very big problem. We have seen an increase of injuries in the MLB from the past. This is due to the fact that velocities are at a higher average than they were 20 years ago, as well as athletes take training much more serious in their quest to gain velocity. It is large, flat and triangular in shape. A very poweful muscle and plays a big part in throwing a baseball. 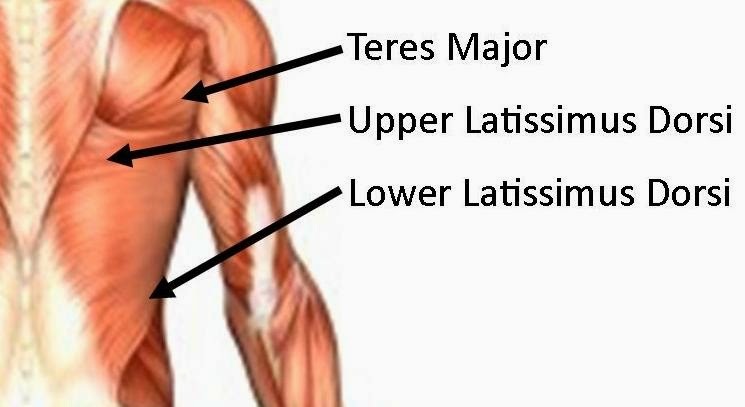 A lot of times, the lat gets confused with the teres major in throwing injuries. These two muscles are often grouped together when an injury is present due to the fact they both run closely together near the armpit to the front of the shoulder. A lot of time, with athlete presenting anterior shoulder pain, clinicians will diagnose the athlete with biceps tendonitis when in actuality it could be a referral pain from the teres or the lat. The lats insertion is at the bicipital groove of the humerus while the teres attaches next to it. Having a lat altered in length can change how the posture of the body or how the body moves. Transfer of forces from ER to IR will damage the lat in even a healthy shoulder. Excessive external rotation (ER) will cause more and more injuries if the athlete is unable to control stability where needed. The average ER 110 degrees for a Healthy arm and now we often see an increase to 150 degrees in a lot of harder throwers. This forces the lat to create eccentric control of the arm going into layback, guys without end-range stability as well as adding the fact that the players of today are much more powerful than even a few years ago can cause a serious injury. We see this especially in the youth population while their bones are continuing to change. Unwanted boney changes may occur with the amount force needed. If the lat becomes tighter the more you throw, the less OH flexion you will see in the athlete. A short lat can drive the athlete into lumbar extension, flare the ribcage, depress the scap and clavicle, depress the hip or even cause issues with pronation and supination. As we will never be able to prevent injury, we can reduce the risk of injury. This starts with educating coaches, players and athletes. If we can present knowledge of proper arm care and training programs for the baseball player, we will start to make changes and decrease the amount of injuries seen in the game. Learning the basic anatomy of the body as well as their physiological demands of throwing a baseball will help decrease your chance of injury. Next time you are having arm issues or feel discomfort find a professional to help you. The worse thing we can do is to continue to throw through the pain. Throwing a baseball should be relatively pain free. This entry was posted in Uncategorized on March 21, 2019 by DJ Edwards. Training close to 1,000 different athletes the past 7 years, I have messed up their programming many times. I have taken many different approaches to try and ensure that what they are doing is yielding maximum results on the field and in the weight room. I have taken the “get as strong as possible approach”, I have taken the lighter weight, move fast approach. What I have found is we need something in the middle of the two. Researching post activation potentiation (PAP), Velocity Based Training (VBT), and reading about the Triphasic approach by Cal Dietz have all opened my eyes to a new way of being a true technician and strength coach. The biggest thing I have learned is that not all the athletes need the same things, even though the physiology of the body primarily works the same in most sports. ALL athletes are rotational athletes, and the initial muscular action in sport usually starts with an intense isometric or explosive isometric contraction along with stores of elastic energy. Which is followed by the stretch reflex of the concentric muscle action. All of these factors determine how to approach programming. We need to use all of this information to enforce proper neuromuscular patterns. Everything mentioned above needs to be taken into account when designing training programs. We cannot train at the same tempos or under the same loads and intensities year-round. Furthermore, we cannot prescribe the same exercises throughout the year. Just because the athlete throws and hits a ton does not mean they should do a ton of medicine ball rotary work. Learning when to eliminate or add movements to a program will help the athlete on the field. For example, if the athlete is increasing his throwing loads, we want to decrease his chin-ups and rotational work because both are lat dominant and rotary movements, and they may do more harm than good. After much research, we have stuck to a solid philosophy of adapting the strength-speed continuum while limiting, eliminating and adding movements in certain phases. This has been a game changer for us. Knowing where bar speeds need to be in different phases of the year has yielded a huge transfer from weight room to the baseball diamond. If you want to throw fast or run fast you need to train fast at times vs training heavy slow all the time. While programming, we need to think that force productions are different for bilateral vs unilateral movements. Each athlete has a dominant leg or arm. This shows in the sport of baseball. We see a lot of coaches addressing the back or drive leg in the throwing motion, although the support leg (landing leg) is the leg needed to produce greater strength and force. We should attempt to increase the rate of force production in prescribed programs. We do this by adding plyometrics, speed and strength measurables the closer we get to the season. However, none of this matters if the athlete is not consistent. We always see a huge drop off in attendance when baseball season rolls around. If an athlete does not continue in all phases of the program the athlete will not get the desired results. Most of the time the athlete comes back in the weight room further behind from when they initially started, if they put a stop to their development. If the athlete stops training in a strength block, how are they ever going to achieve the power it takes to throw with higher velocities without working into a speed-strength phase? Injuries become more prevalent this time a year as well because the sport specific skill work is put in front of the development in the weight room. We train all year to be strong and powerful. So, in-season why would you want to stop training? Everything matters to gain the desired results and see the hard work transfer to the field, from the programming to the consistency of the athlete. This entry was posted in Uncategorized on March 14, 2019 by DJ Edwards. Now is the time of year when we see arm issues sky rocket. This can be due to many reasons. Most of the time it is due to lack of quality strength/throwing programs during the off-season or on-ramping too fast or not at all. This will cause the arm issues we see. I read a great quote today by Sam Rayburn that applies to the strength and conditioning profession. “Any jackass can burn down a barn but it took a great carpenter to build it.” To me this meant anyone can build a workout but it takes a true technician to build an applicable program for an athlete that works. It takes education and experience to produce quality. We have seen over and over again coaches teaching arm care that don’t even know what the rotator cuff muscles are or the kinematics of the scap. Sooooo…. Where do we start? We first need to realize that arm care is total body care. We want to address the entire body not just the arm. Focusing on just the shoulder may do more harm than good. If we throw with the whole body we need to address the whole body. You learn to roll and crawl before you stand and walk. We want to start each session from the ground up and work proximal to distal. Ankle mobility affects the knees stability, knee stability affects hip mobility, hip position affects rib cage position, rib cage position affects thoracic mobility, thoracic mobility affects scap positioning, scap positioning affects shoulder function, shoulder function determines shoulder health, consistent ball release and consistent velocity. Losing force transfer due to poor ankles and hips happens often. The force is transferred from the ground up. Most of the transfer occurs through the core. Core stability plays a big part in arm health and velocity. Stability vs mobility – what does the athlete need? We want address the need of each athlete. Giving an athlete mobility when they are already hyper mobile will only hurt the athlete by decreasing stability. We want to know where to give mobility and if they even need the mobility. Arm care goes much further than just doing bands and running. Prescribe properly. Now that you have the basis of what “Arm Care” consists of, please feel free to reach out and ask questions. If you would like to schedule an assessment feel free to contact us! This entry was posted in Uncategorized on March 11, 2019 by DJ Edwards. 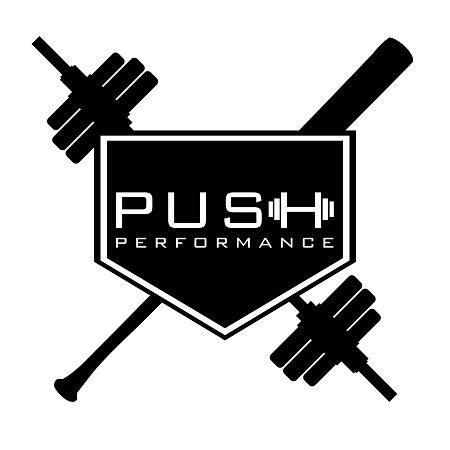 Today Push Performance is 7 years old and it has been a crazy ride so far. It all started in 2011 when I lost a job where I was training a few clients. Reasonably so, my wife Ashley was worried. We were getting married in a few months and had just signed a lease for our first apartment, but I reassured her that everything would be just fine. It would be fine because I had a vision, and I knew how to make this vision a reality. I looked into places I could train my very limited clientele. I found a location that didn?? ?t charge much. This place had zero culture and zero vision. I was training and trying to create a culture with my clients. The majority of clients were adults. Zero athletes. When I say majority, after a year I had built a small one on one client base of 5. I would not change that for the world. Still not satisfied, I knew there could be more. I was already working 4:30am to 9pm, six to seven days a week. Not training but learning, marketing, building relationships and forming a vision. If it was not for the adult population I had and still have to this day we would not be where we are today. Each client said they would help in opening a facility, funding, setting up, etc. I found a business partner and he sold me the world. It lasted a year. His vision was not my vision, once again there was no culture. Failure after failure, getting sued, stressing and wanting to quit. I was learning. I was learning exactly what I needed to do. Four years ago we opened our facility we are currently in. We had 5 athletes (you know who you are) the OG?? ?s of Push Performance . Had 80% adult clients, of which everyone is still with us today. Adapting to a semi-private training model, those adults being a role model for each kid that walks through the doors. I can?? ?t thank you enough for what you guys have done for Push Performance. In the two past years we went from 1 or 2 coaches, including my self, to 5. We have gone from 5 or 6 baseball players to over 100. This is not possible with out all the people that have been apart of the culture. You can see our culture, hear about our culture but you need to feel our culture to truly understand what we have. It is special. Our family is special. I am so thankful for our coaches, friends and athletes. Getting to this point has been anything but easy. Embracing the process and not the result and learning what patience really means have been huge keys in the success of building our brand. Along the way we have made many mistakes, that have helped mold us to who we are. This has been the best seven years of my life hands down. Marrying my amazing wife, meeting my best friends, having the chance to wear gym clothes every day (mostly Lulu), buying, selling and buying houses, having two boys and gaining unbelievable opportunities. Thank you to everyone. Let?? ?s keep the momentum. This entry was posted in Uncategorized on January 11, 2018 by DJ Edwards. Static Stretching, Good or Bad? Is static stretching bad for you? Static stretching has been the topic of conversation for a long time. Is it good? Is it bad? Everyone has been on the field or court and the coach immediately say so stretch to warm up. But do the athletes really know what to do to warm up? Coaches and athletes need to know what to do to warm up and cool down. The warm up and cool down may be just as important as the lift or game itself. It is preparing the body for whats to come. So wouldn’t it be right to get the muscles activated before and shut down after? Sounds simple but its not being done within all sports or the weight room. Turning off a muscle activates the parasympathetic nervous system instead of the sympathic nervous system. This are commonly known as rest and digest and the fight or flight nervous systems. Parasympathic is the start of the recovery process and sympathic get the muscle activate and read for use. So prior to an activity you want that sympathic nervous system primed and ready to go. Before any competition or weight room session it is important to get the mind and body connected to make sure the muscles are being activated. If the mind isn?? ?t connected then the chance for injury goes up. Static stretching is the opposite. Static stretching turns ???off??? mind and muscle connection and the muscle now becomes less optimal for use. 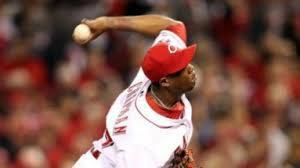 Baseball players for example are notorious for stretching the arm across the body thinking that this is good for the shoulder before throwing. But what is really happening? Stretching the arm across the body is actually shutting down the posterior side of the shoulder causing the shoulder to become inactive and more unstable. Baseball players and any over head athlete already tend to have a lose and unstable shoulder anyways so your just adding to it. Now you want to use the arm to throw a ball or wight object. This is a recipe for injury. So what should you do instead? Active the muscles of the shoulder more importantly the posterior cuff and rotator cuff muscles. J bands or cross over bands are great for this. This goes for any muscle group in the body, lower and upper. If you statically stretch the lower body and now try to run, your trying to use muscles that aren’t activate for that exercise. The simple solution, activate at the beginning. Have a routine in place that you do everytime to insure all muscles are primed and ready to go. Get is all planes. Start simple and progressively get more specific to the activity about to ensue. Get the mind and body connected before you do any time of physical activity. If you want to to activate the quad for instance do a walking quad ???stretch??? and walk as you go and don’t hold the quad in a stretch position for a extended period of time. So when is it ok to static stretch? I am a firm believer in statically stretching post exercise or activity. Like I stated before this will now activate the parasympathetic nervous system and allow the recovery process to begin. Though I am still not a big fan of stretching joints that are already lose and unstable like the shoulder. Pre and post band work for posterior cuff strength and endurance would be my go to. Simply activate the body before and shut down after to help reduce the chance for injury and if you like to statically stretch do it post exercise or event and never before. This entry was posted in Uncategorized on May 26, 2017 by DJ Edwards.